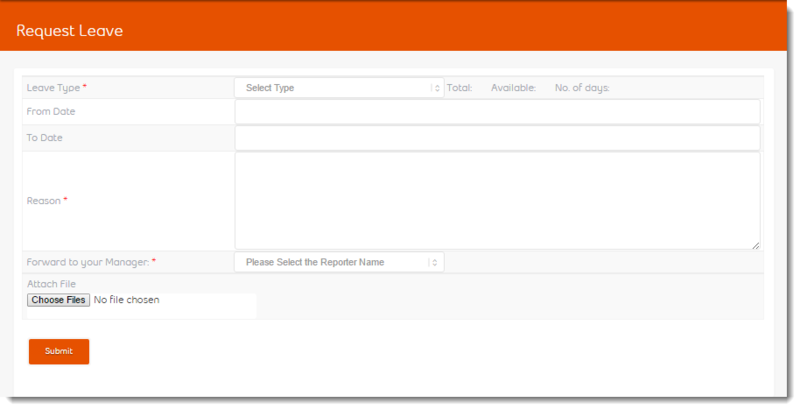 Leaves management system show all leaves of a particular person logged in, so your employees can apply & view those leaves which have been accepted by the management. Employees can also view the total and available leaves for the tenure according to your company policy. You can manage leave types such as sick leave, paid leave and many more as per your company policy. 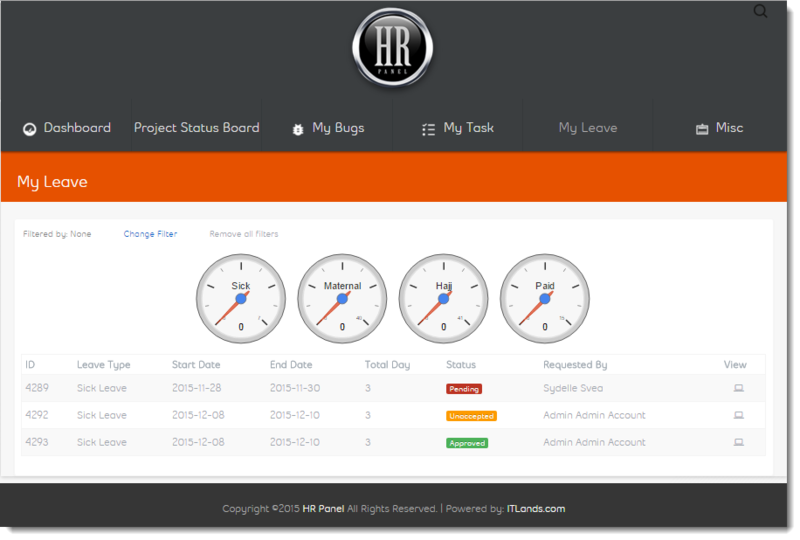 HR Manager can add any leave type with its number of days and financial year. You can also capable to divide specific leave on month basis, Carried forward in next years, another useful option is special leaves can only be applied when all other leave balances are exhaust. 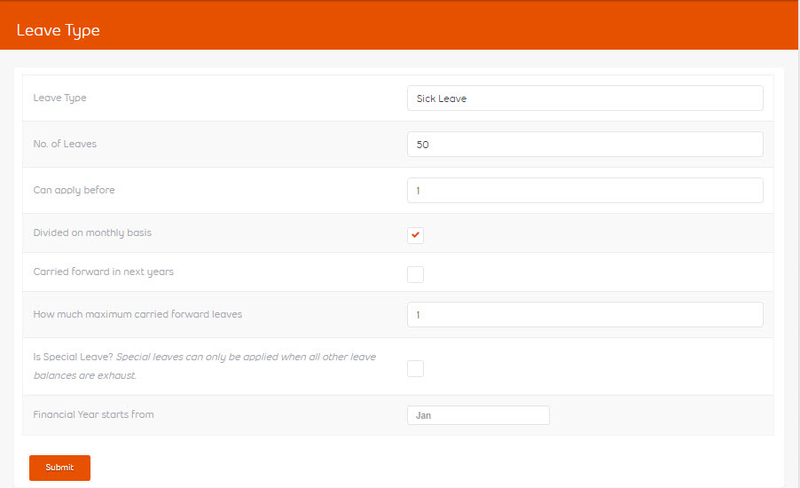 When your employee requests a leave it will auto calculates leave balance and availability before applying. So your HR department will never overloaded with unwanted data. This report is the basic need of HR Manager which shows the leaves balances of particular employee. Download employee leave history report shows when & how many leaves are availed by particular employee with necessary details.